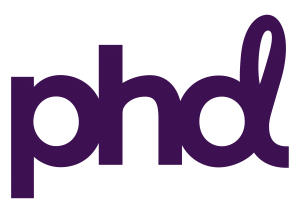 PHD London was the founding office of the first truly planning-led media agency in the UK. Today it is now part of a 70 office global network, home of PHD’s worldwide management team and part of Omnicom Media Group. From its inception, PHD has always been one of the UK’s most forward-thinking media agencies, renowned for challenging convention, breaking new ground in communications thinking and ultimately looking to find a better way in everything we do. Finding a better way manifests itself in many ways – from being the first media agency in the UK to launch its own affiliates network to offering the most comprehensive media education programme to 200 clients, for free, to employing our own in-house recruitment specialist to ensure we attract the best talent and reduce the amount of money we spend finding them. This approach, coupled with the buying power we offer through Omnicom Media Group’s centralised negotiation point OPera has attracted a diverse client list which includes Sainsbury’s, Cadbury, Confused.com, Warner Bros., ING Direct, and our founding client The Guardian, who we have worked with for 20 years.